The New York Stock Exchange is the world’s largest securities exchange. It provides a marketplace for buying and selling 9.3 million corporate stocks and other securities a day. The NYSE lists 82 percent of the S&P 500, 90 percent of the Dow Jones Industrial Average, and 70 of the world's largest corporations. It is, itself, a publicly-traded company with almost 3,000 employees. Its ticker symbol is NYSE:ICE. On June 3, 2013, the NYSE shareholders approved its $8.2 billion purchase by Intercontinental Exchange. The New York Stock Exchange uses two methods of trading: brokers and all-electronic. Regardless of the method of exchange, all stock transactions are an auction. Brokers actively trade stocks on the floor of the NYSE. Buyers and sellers auction securities for the highest price. Brokers represent the entity buying the stock, whether it's for a retail brokerage company or institutional investors such as pension funds. The brokers set the "bid" price, which is the price you're willing to pay for the stock. When your stockbroker executes your order to sell, it is not completed until one of the dealers on the floor of the New York Stock Exchange finds another broker to buy it. Before trading, brokers and dealers must get approved by the NYSE and hold a trading license. The dealers match up the brokers with the stock sellers, who submit an "ask" price. It's usually higher than the bid price. In this way, it's like selling a home. The dealer is like the real estate agent, who puts the buyer and seller together. Dealers get to pocket the difference between the ask and bid price, minus fees and expenses, for their work. Most of the 10 billion transactions occur electronically. A computer acts as the dealer, matching up buyers and sellers. Even the brokers and dealers get their information and trade electronically. The opening bell of the NYSE rings at 9:30 a.m. eastern time, while the closing bell rings at 4 p.m. eastern time. This tradition began in 1870 with a Chinese gong. In 1903, when the NYSE moved to its current location, it switched to brass bells. Since these hours are on East Coast time, financial advisers on the West Coast must start their day at 6:30 a.m. in the summer. The NYSE uses the opening and closing bells to celebrate a New York City or financially-related event. It's considered an honor to be invited to ring it. For example, if a company has just issued an Initial Public Offering with the NYSE, that firm's CEO or President of the Board gets to ring the NYSE bell. To find out who will ring the opening or closing bell in the next few days, see NYSE Upcoming Events. 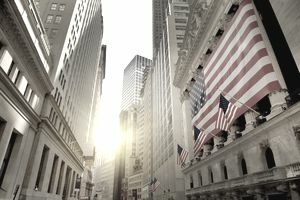 The NYSE is closed for nine American holidays, including: New Year's Day, Martin Luther King Day, Washington's Birthday, Good Friday, Memorial Day, Independence Day (July 4), Labor Day, Thanksgiving Day (fourth Thursday in November) and Christmas (December 25). In addition, the NYSE closes at 1:00 pm ET on Black Friday, the day before Independence Day (July 3), and Christmas Eve day (December 24). The NYSE began on May 17, 1792, under a buttonwood tree at 68 Wall Street. Twenty-four brokers and merchants signed the aptly-named Buttonwood Agreement to outline the rules for trading securities. The first stock listed on this exchange was the Bank of New York. The founders named their organization the New York Stock & Exchange Board, which they shortened to the New York Stock Exchange in 1863. There were only 1,366 traders. They were all men until 1967, when Muriel Siebert became the first woman who was allowed to trade. The NYSE became a not-for-profit corporation on February 18, 1971, and a publicly traded company in April 2006. That was the same time that it moved to an electronic system used by traders and the public alike. NYSE Arca, an all-electronic stock exchange trading securities, mutual funds, and options. NYSE Liffe, trading more than 2,000 electronic options and futures contracts for gold and other commodities. It also trades MSCI-based futures contracts. NYSE Bonds, an all-electronic exchange that trades bonds. What Are the Components of the Stock Market? What Are the Dow Jones Averages? Could a Stock Market Crash Cause a Recession?